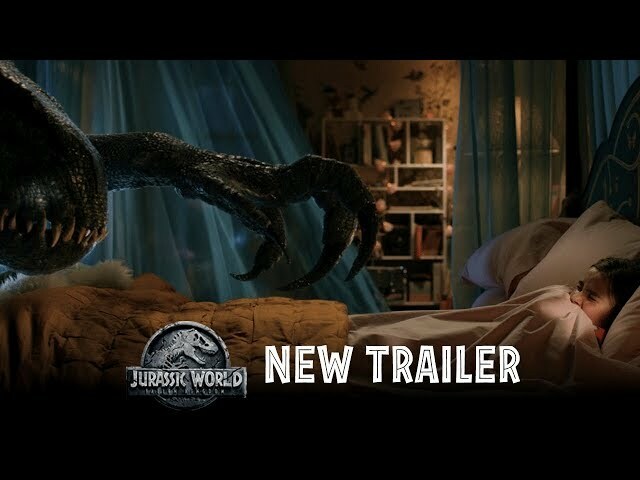 Jurassic World: Fallen Kingdom (film, 2018). A 2018 American science fiction adventure film with "PG-13" rating by Universal Pictures. Directed by Juan Antonio Bayona. Official Trailer. 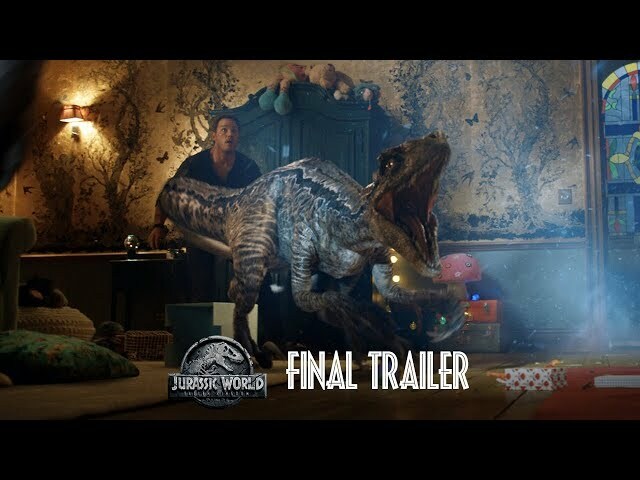 Jurassic World: Fallen Kingdom is a 2018 American science fiction adventure film directed by Juan Antonio Bayona. 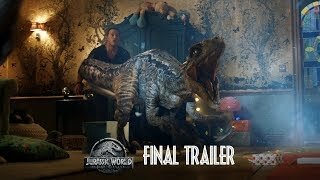 Jurassic World: Fallen Kingdom - Final Trailer . 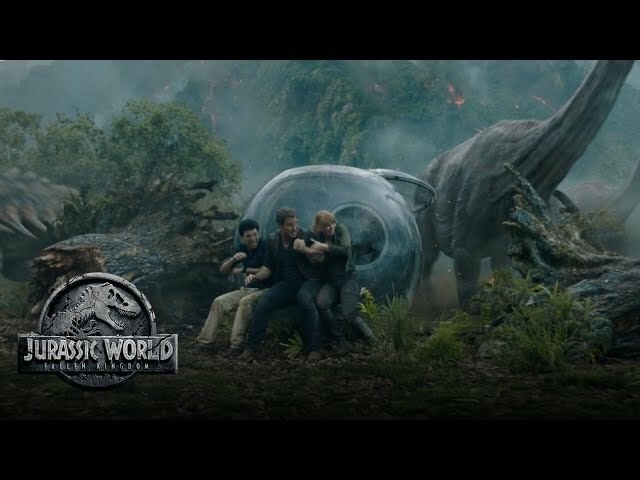 A small team of mercenaries arrives on the abandoned Isla Nublar to collect DNA from the remains of the Indominus rex at the bottom of the park's lagoon. After successfully collecting a bone fragment, the team's survivors barely escape the island following attacks by the Mosasaurus and Tyrannosaurus rex. 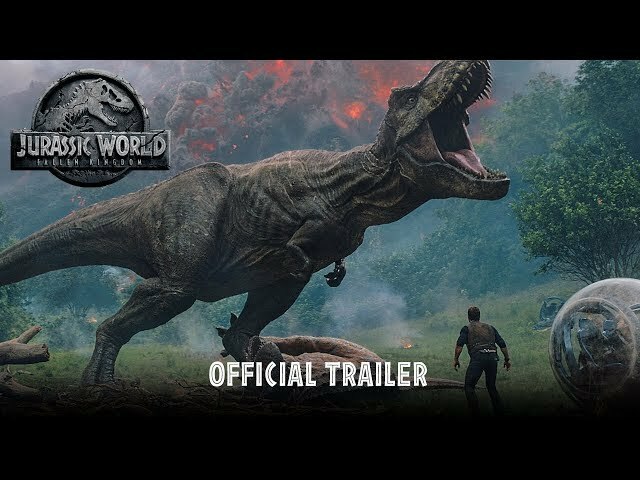 A U.S. Senate hearing in Washington, D.C. debates whether Isla Nublar's dinosaurs should be saved from an impending volcanic eruption. Mathematician Dr. Ian Malcolm testifies that the dinosaurs should be allowed to perish to correct John Hammond's mistake of cloning them. Meanwhile, Jurassic World's former operations manager, Claire Dearing, has established the Dinosaur Protection Group to save the animals. 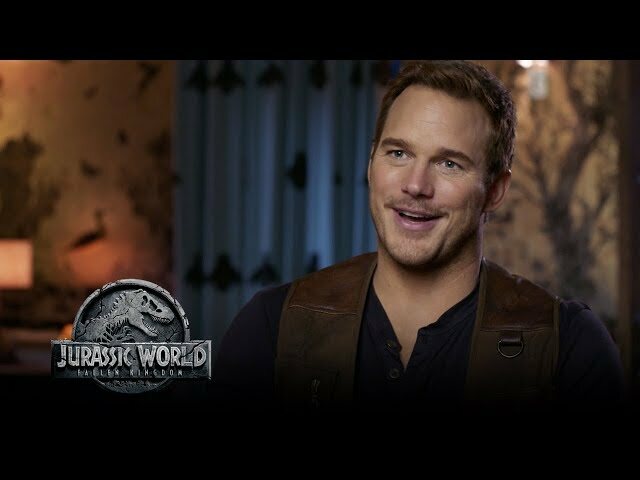 After the Senate rules against rescuing the dinosaurs, Hammond's former partner, Benjamin Lockwood, summons Claire to his Northern California estate. Lockwood and his aide, Eli Mills, reveal a plan to relocate the dinosaurs to a new island sanctuary. 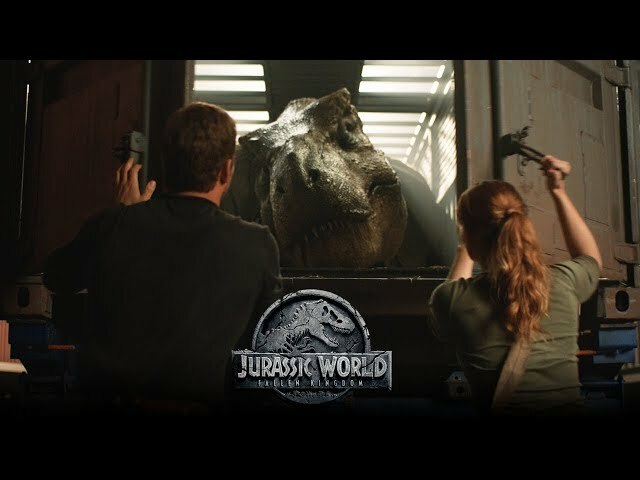 Claire is needed to help reactivate the park's dinosaur tracking system to locate the animals, particularly Blue, the last surviving Velociraptor. 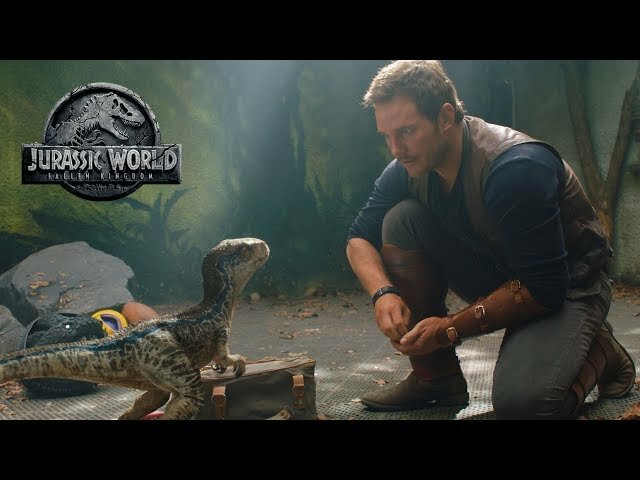 Although they are estranged, Claire recruits Jurassic World's former Velociraptor trainer and Blue's alpha, Owen Grady, to help capture her. On Isla Nublar, Claire and former park technician Franklin Webb reactivate the online tracking system. Owen, paleo-veterinarian Zia Rodriguez, and a mercenary team led by Ken Wheatley search for and find Blue. The encounter escalates, resulting in a mercenary soldier shooting Blue, and Wheatley tranquilizing Owen. The mercenaries take Zia with them to treat Blue's injury. The mercenary ship, loaded with the captured dinosaurs, departs for the U.S. mainland as the dinosaurs left behind die in the eruption. Claire, Franklin, and Owen sneak aboard in time and assist Zia in transfusing Blue with Tyrannosaurus blood. The group now realize that the captured dinosaurs were never being transported to a new island and are for another purpose. 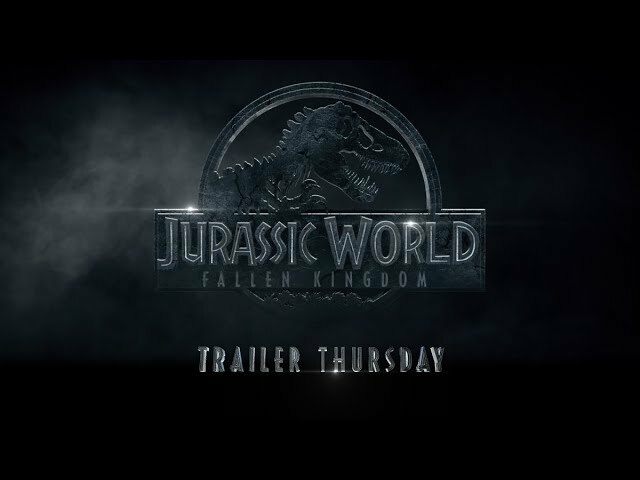 The film Jurassic World: Fallen Kingdom was scheduled to be released by Universal Pictures on May 21, 2018 (WiZink Center), on June 6, 2018 (Germany, United Kingdom, France) and on June 22, 2018 (United States). The duration of the film is 128 minutes. With a budget of $170 - 187 million, the film grossed over $1.309 billion. 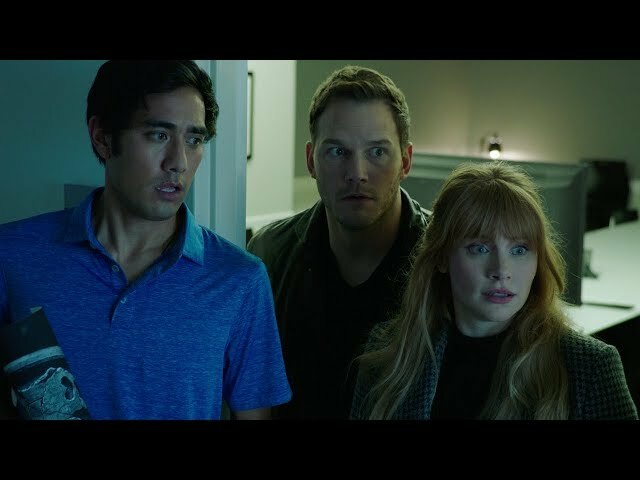 Jurassic World: Fallen Kingdom got average rating from critics. The audience dislikes the film either. Audiences polled by CinemaScore gave the film an average grade of "A-" on a scale ranging from A+ to F.